Despite suffering a mid-season injury and missing some races, Tyler Cullen was able to end his rookie campaign ranked eighth in the OSCAAR Pro Sprint Standings. Right from the drop of the first green flag, Cullen was fast at Sunset Speedway’s Spring Velocity to open the season. However, a mid-race spin by a fellow competitor would see Cullen get collected and done early for the event. He returned back to the Innisfil, Ontario track a month later, this time running up front throughout the full feature including pacing a couple laps en route to a sixth-place finish. 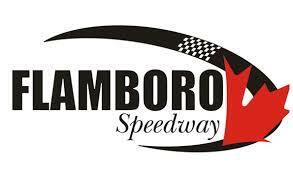 The series’ first trip to Flamboro Speedway this year worked very well for Cullen, as it was the sight of his first career heat victory. He would finish second in the other qualifier, before running in the top-five throughout the full feature en route to finishing third. He then backed it up with another podium at Peterborough Speedway, placing third once again. As everything looked to be coming together for Cullen, it would all go off the hinges at the tight confines of Grand Bend Speedway. Looking to make ground mid-way through the feature, Cullen was caught up in a mid-race incident, ending his night early. It would also force him to miss the next couple races due to a knee injury. Making his return to racing a month later at Flamboro Speedway, he was fast right out of the gate once again. He ran up front in the first feature en route to a fourth, before pacing the beginning stages of the second event en route to a sixth. Unfortunately, Peterborough Speedway’s season finale saw Cullen run into mechanical issues, failing to start the first feature while placing 10th in the second. If Cullen comes out next year and shows the same speed right from the first green flag, he could easily be the next teenager to grace victory lane.